The question to ask is, “Would I be ready if there were an emergency?” We can help you say “yes” by summarizing the most important parts of being prepared: assembling an emergency supply kit, making your emergency plans, staying informed and getting involved in helping your family, your business, and your community become ready for all types of emergencies. A disaster plan begins by conducting a hazard hunt. Try to identify the natural or man-made hazards that could affect you and your loved ones. Meet with your family or household members to prepare and respond to emergencies that are most likely to happen where you live, learn, work and play. You should identify responsibilities for each member of your household and plan to work together as a team. This includes planning what to do in case you are separated during an emergency. You should choose two places to meet. One should be right outside your home in case of a sudden emergency, such as a fire. One should be outside your neighborhood, in case you cannot return home or are asked to evacuate. Also, choose an out of area emergency contact person. It may be easier to text or call long distance if local phone lines are overloaded or out of service. Everyone should have emergency contact information in writing or programmed into their cell phones. At a minimum, have the basic supplies listed below. Keep supplies in an easy to carry emergency preparedness kit that you can use at home or take with you in case you must evacuate. 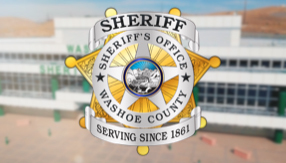 Take the time to learn what disasters or emergencies occur in Washoe County. These events can range from those affecting only you and your family, like a home fire or medical emergency, to those affecting your entire community, like an earthquake or flood. Consider how local authorities will notify you during a disaster and how you will get information, whether through reverse-911 dialing, local radio, TV or NOAA Weather Radio stations or channels. Know the difference between different weather alerts such as watches and warnings and what actions to take in each. Know what actions to take to protect yourself during disasters that may occur in areas where you travel or have moved recently. For example, if you travel to a place where earthquakes are common and you are not familiar with them, make sure you know what to do to protect yourself should one occur. When a major disaster occurs, your community can change in an instant. Loved ones may be hurt and emergency response is likely to be delayed. Make sure that at least one member of your household is trained in first aid and CPR and knows how to use an automated external defibrillator (AED). This training is useful in many emergency situations. Share what you have learned with your family, household and neighbors and encourage them to be informed. Source: Washoe County Emergency Management. For more information go to www. readywashoe.com.